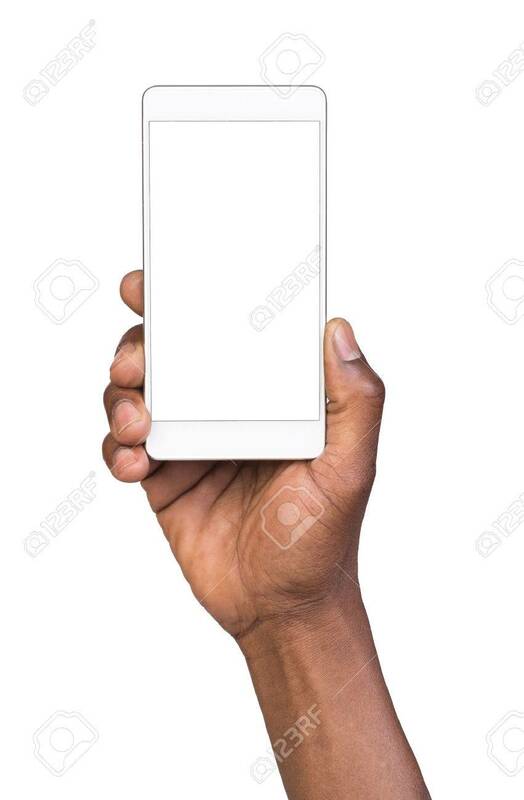 Man Holding White Mobile Smart Phone With Blank Screen. Isolated.. Stock Photo, Picture And Royalty Free Image. Image 62115158.